A judge who donated money to former House Speaker Dennis Hastert several years ago will remain on the former speaker's hush-money case. U.S. District Judge Thomas M. Durkin said earlier this week that while he felt he could be impartial, he would recuse himself from presiding over Dennis Hastert's case unless prosecutors and Hastert's lawyers file a waiver. All parties agreed Thursday to allow Durkin to remain on the case. 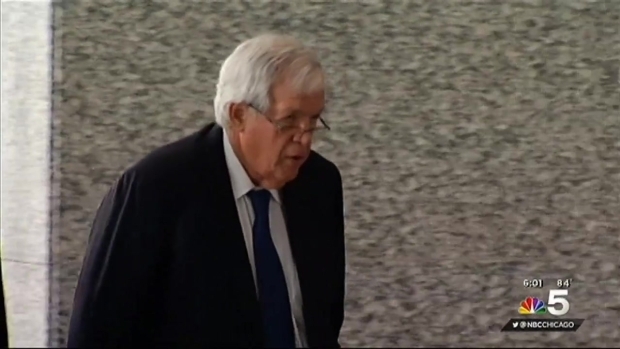 "I have no doubt I can be impartial in this matter," Judge Thomas M. Durkin said Tuesday after Hastert entered not guilty pleas to federal charges he evaded banking laws and lied to the FBI. 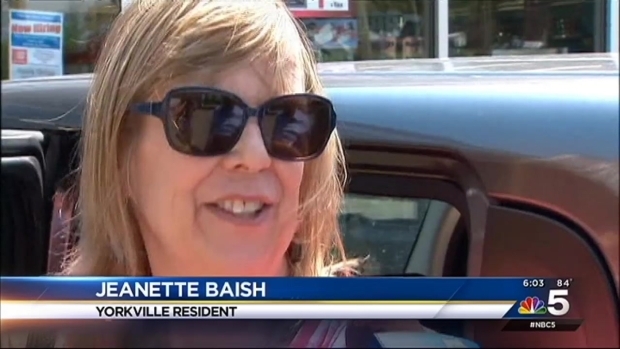 The former Speaker of the House is charged with evading bank laws and lying to the FBI. NBC Chicago's Mary Ann Ahern reports. 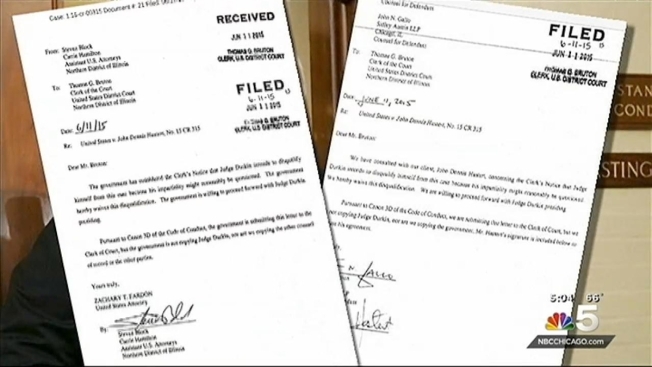 The case was randomly assigned to Durkin, he said, adding that it would be randomly given to another judge if attorneys asked him to step aside. Federal Election Commission records showed Durkin donated $500 to the "Hastert for Congress" campaign in 2002 and $1,000 in 2004. Durkin was an attorney at the Mayer Brown law firm in Chicago at the time of the contributions. Hastert's son, Ethan Hastert, was an associate attorney at the firm at the same time. Durkin stressed he and the younger Hastert were not friends but did work on a few cases together. "As far as I can recall I never met the defendant," Durkin said, adding that his contribution was made as a private citizen through a partner at the law firm. Former House Speaker pleaded not guilty Tuesday to federal charges. NBC Chicago's Christian Farr reports. President Barack Obama appointed Durkin a federal judge in 2012. Durkin's brother, Jim Durkin, is Republican member of the Illinois House of Representatives representing the state's 82nd District. The judge said his brother and Hastert are not personal friends. Hastert, a Republican, is accused of skirting banking laws while withdrawing $952,000 that investigators allege he gave to someone accusing him of wrongdoing. The indictment did not identify the recipient of the money or clarify the wrongdoing, but an NBC News source said the funds were handed over to conceal a sexual relationship Hastert had with a man while the man was a student at Yorkville High School, where Hastert was a teacher and wrestling coach.